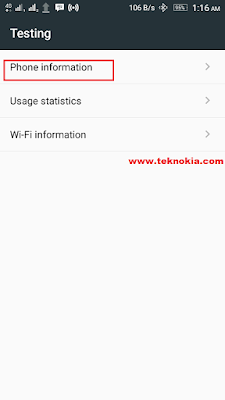 Now it's time I share my tips on how to lock the LTE networks in Lenovo device. in particular the series Lenovo A7000/Plus, A6000/Plus, A6010, etc. actually all pure android version already provides this feature, from ICS version up to version 6, marshmallow. 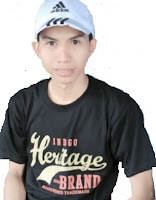 However, several manufacturers modify the operating system so that this feature is changed or hide from the user. 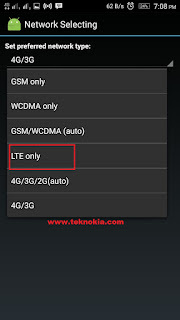 In fact, the features of LTE only very important features like 3G Only. But LTE features not available in the default network settings. The good news. Lenovo does not modify android in full. We can still find this feature very easily and without rooting. Lenovo mobile phone series that use Mediatek CPU e.g. Lenovo A7000, Lenovo, Lenovo A7000 P7 plus etc. For this series there are special features that are not owned by qualcomm devices. The name is Engineering Mode. 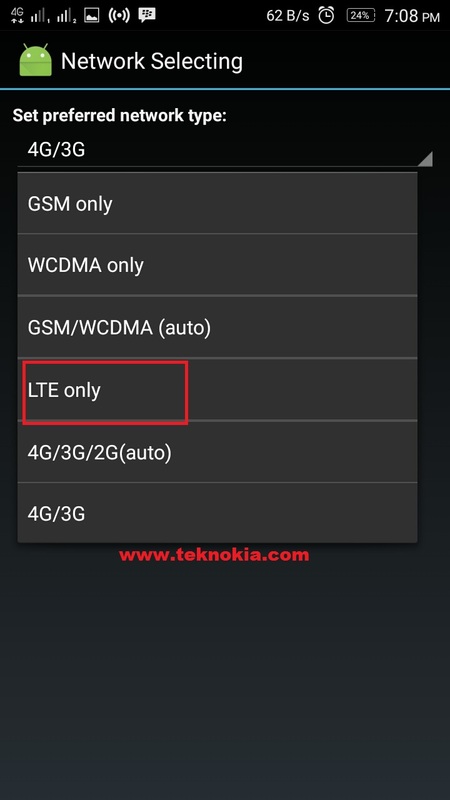 Well, through this feature we can lock the LTE networks and also set the frequency Band network. 2. Run the application; select the first menu entry to EngineerMode. 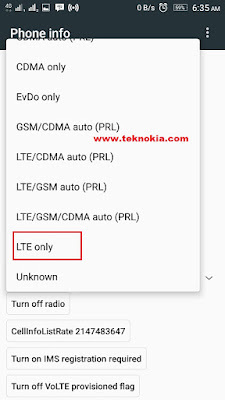 At The telephony tab select selecting network then choose LTE Only. 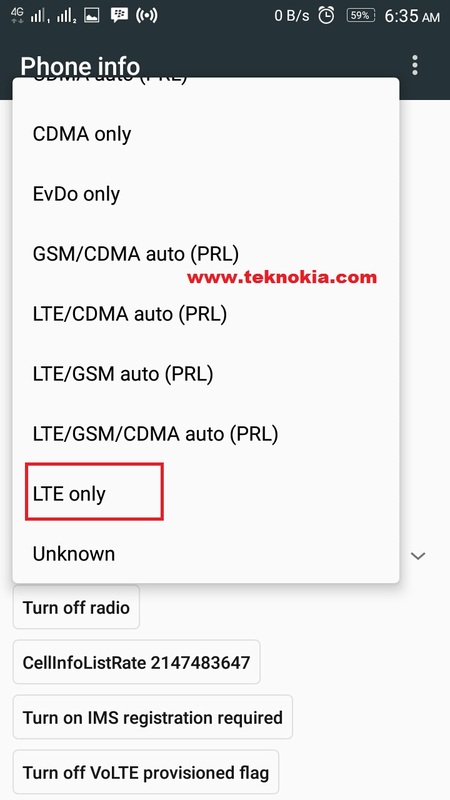 If you enable LTE Only, The call and sms feature doesn't work. 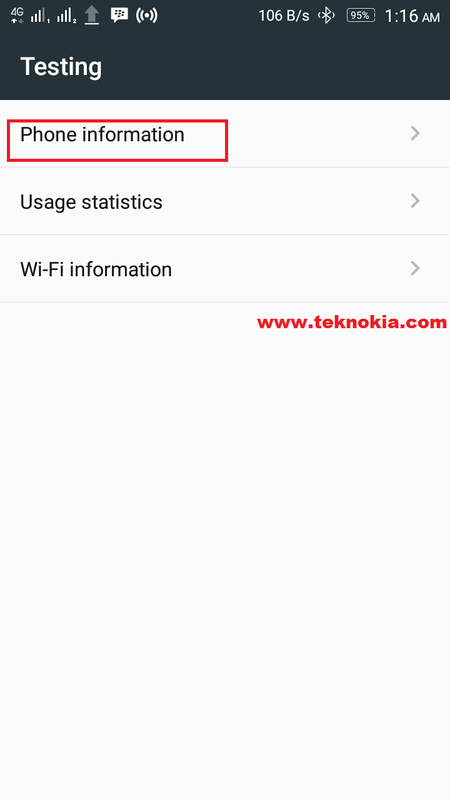 To set the frequency band network, I already made The article separately, please read How to Enable GSM WCDMA LTE Bands On Mediatek Smartphone. Series Lenovo has a qualcomm CPU e.g. Lenovo A6000, A6000 A6010 Plus, etc. 2. 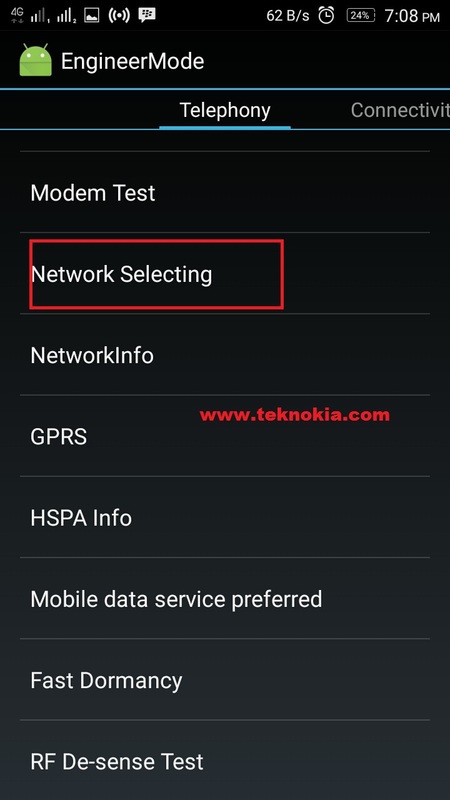 Run the application, select the second menu "Android testing" after that select telephone information and choose LTE networks Only in part set preferred network. This way can also be used in mediatek devices.